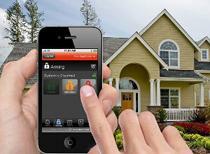 Consumers are more eager to control their homes from one device thanks to Apples touchscreen devices. It's been just over four years since the launch of the original iPhone and much has changed since then. The cell phone industry has been transformed of course, but there have been some big developments in home theater as well. In the last year or two, we've seen an increase in the amount of devices that can use smartphones for control, starting with the iPhone and then moving to Android and other platforms. Now it's not uncommon for a Blu-ray player or receiver to have iPhone compatibility. The iPhone and iPad have also had significant effects on the automated home market - one that's tied in closely with home theater. Folks are getting used to the idea of controlling things with a touchscreen and one analyst expects four percent of mainstream homes to have some sort of automation by 2015. Compare that to now, where only a tenth of a percent feature automation.